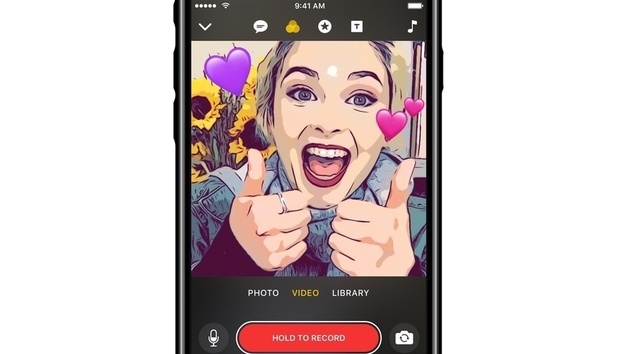 It’s easy to compare Apple’s new iOS app, Clips, to video-sharing social networks like Snapchat, Instagram, and Facebook. But that’s not exactly fair, because Apple’s Clips isn’t social at all—it’s designed simply to help you create and edit fun videos. What you do with them after that is up to you. This approach makes Clips less anxiety-inducing. To share a video on Instagram or Snapchat, you’ll want to shoot in Instagram or Snapchat to make sure the moment you’re capturing is perfectly framed. You can shoot in Clips, too, but this feels more like an app you’ll use after the moment has passed to stitch together memories and add a soundtrack and captions. Clips is way more low-key. But that doesn’t make it less complicated to use. In fact, it’s on par with Snapchat when it comes to unintuitive design, so be prepared to spend an exorbitant amount of time creating your first clip. (We pray it gets easier the more you use it, but time will tell.) Here’s everything you need to know about using Apple Clips. See those icons on top? They unlock all of your editing tools. From there you can swap videos or photos around in the visual timeline at the bottom of the app just by pressing and moving them. You can also easily trim video clips—just tap on the clip in the timeline and then tap the scissor icon to edit the video down to just the seconds (or minutes) you want to include. Along with a video-trimming tool, Clips has all the standard social video-editing features (filters, emojis, etc.) tucked behind icons at the top of the app. Tapping the speech bubble icon adds captions in real time (more on this in a minute). Eight filters, ranging from black and white to my favorite Comic Book, are behind the interlocking circles icon. The star is hiding the time, your location, shapes like circles and arrows, and random words you can edit after adding them to your image or video. The ‘T’ icon unlocks title cards that can help you tell your story—the text on these cards is also editable. The last option, a music note, is how you add a song from iTunes or an Apple-supplied tune to your video. It takes awhile to get to know the various tools and tricks to make Clips work for you, but you’ve got this. And remember that creating a clip in Clips doesn’t mean that video goes anywhere but your Camera Roll. You have to take extra steps to share it with anyone or on any platform, which makes it extremely low-pressure. Turn on Live Titles as you're speaking to automatically translate your words to text. Clips has a few features that set it apart from other video-editing apps, the most notable of which is Live Titles. That’s what Apple calls its real-time captioning tool, which is designed to make your video totally watchable without sound. This is perfect for scrolling through Facebook’s auto-playing News Feed, but also improves accessibility, making videos easy to watch for viewers who are deaf or hard of hearing. Live Titles supports 36 languages at launch, which is a feat for a brand-new app. But basically everything you see on screen is editable, which is incredibly useful. Every bit of text can be changed and even emojis can be easily swapped out by tapping on the emoji on-screen and then tapping again to access your emoji keyboard. In your first few hours with Clips, it’ll feel a little burdensome. But once you figure it out, creating social videos with Clips is a cinch. Once your masterpiece is finished, it’s time to share it. Clips uses facial recognition to figure out who’s in your video and then suggests that you use iMessage to send your video to those friends, which is really cool. You can also share a clip via email or post it to your go-to social networks, minus Snapchat. Snapchat is not designed for sharing what’s essentially a short social movie (not to mention the fact that clips are square and snaps are vertical). But clips seem tailor-made for sharing on Facebook in particular. Imagine creating movies of your kids or making your own DIY Tasty food recipe video with Clips. Post them to your page and watch the likes roll in. It’s a good thing Apple didn’t try to build a social network around Clips (lesson learned from Ping, perhaps). Instead, Apple is doing what it does best: giving creators the tools they need to make good work. Right now, popular media tends to be short and shareable. With Clips, maybe you too can snag 15 minutes—or more likely seconds—of viral video fame.